Format: Each one-day clinic can be presented individually (1 day) or grouped together over a period of 2 – 3 consecutive days. This clinic series is an excellent complement to Connected Riding® methods and activities. Each EquiMotion mini-clinic focuses on one aspect of body awareness as Nancy leads you through a Feldenkrais® Awareness Through Movement® lesson prepared by guild certified Feldenkrais® instructor, Robert Spencer, especially for riders. 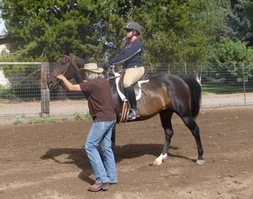 Next, we take it to the saddle to explore new awarenesses and how they relate to an improved connection with the horses we ride. Three weeks prior to meeting for a two-day, hands-on workshop, participants will enroll in an online class that presents background information and theories relevant to the concepts that will be covered in the workshop. This format allows for more in depth study of concepts and theories and it permits the workshop to move quickly to practical applications. 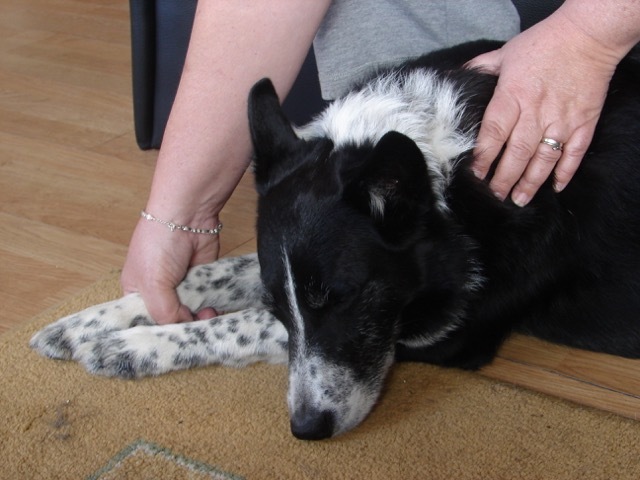 Be proactive by learning to effectively release tension in your horse’s body. 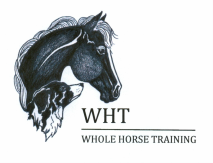 Two PowerPoint presentations and plenty of hands-on practice comprise this 2-day clinic that examines the importance of working horses in good posture and provides participants with the skills to help horses release their bodies. 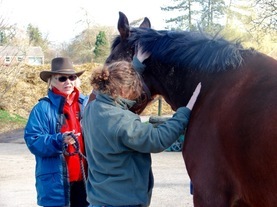 The first presentation discusses the need to maintain your horse’s body with regular bodywork, while a second presentation focuses on seeing horses with a more educated eye. During the hands-on learning sessions, participants will learn an effective, user-friendly bodywork routine developed by Sid Erickson, DVM for horse owners.